Biosis 43: Attitude, Root Canals & Gluten-Free Foods - Gary M. Verigin, DDS, inc. Gary M. Verigin, DDS, inc.
Wasn’t it just an issue or two ago when I lamented that all the good between-issue ideas I get for this column seem to vanish once it comes down to writing them? 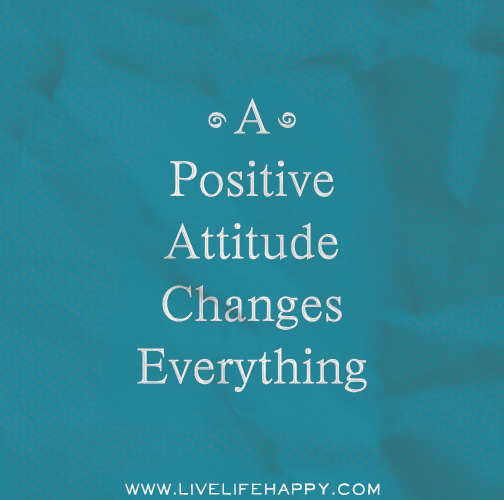 That difference in attitude can make – or muck up – your whole day. The thing is this: We are, in the words of Zig’s most well-known book, born to win. But to be winners, we must “plan to win, prepare to win and expect to win.” In other words, it takes a winning attitude. And this column is a case in point. As soon as I changed my attitude from dread to “I can do that,” the task suddenly became a whole lot less daunting – maybe not easy, but manageable. But what makes a “winner” exactly? The other day, I read a book called The Best Things in Life Aren’t Things. Rather, they arise from qualities we might call virtues – gratitude, courage, kindness, an open and curious mind, an open heart. Sure, there are some “thing-things” that do matter, but unless we have the right kind of attitude, theywon’t have the value we expect. Last time, we took a closer look at Dr. Weston Price’s root canal research. This work is often misunderstood. Many people – in his own time and today – believe that because his findings showed that root canal teeth can trigger illness, simply removing them will restore health. Every individual with infected root canal filled teeth must have either an efficient “quarantine station” around the tooth – such as a granuloma or a cyst – or have that “warfare” taking place elsewhere—a systemic effect which will appear in its weakest tissue-heredity-susceptibility-defense overload which was created by a nutrition based diet that lacks base minerals. In other words, the body will do all it can to defend itself, and its ability to defend is dictated by the health – or lack of it – of the individual. Dental infection is not, in fact, the only contributing factor to systemic troubles. Yet interestingly, he didn’t seem to feel the need to stress this point. He added that dentists are “ruthlessly and needlessly sacrificing innumerable good teeth…but many other innumerable teeth now being entirely overlooked or being passed as not having sufficient evidence of pathology.” But just because a tooth doesn’t look or feel sick doesn’t tell us all that much. I believe even root filled teeth can become (and I believe ultimately generally do become) infected, because every tooth may contain approximately five percent culture medium, even after root filling, unless something has been done, which as yet I have not had evidence can with confidence be accomplished, efficiently to establish a condition in which neither microorganisms nor degeneration products of tooth tissues can develop. 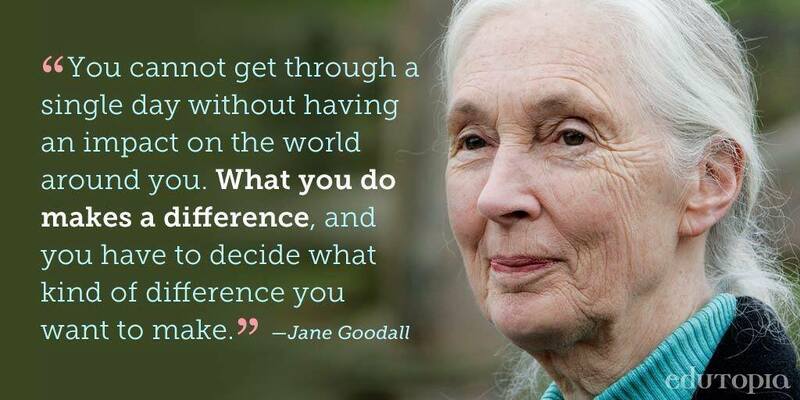 In other words, it depends. For human beings do not react in any kind of uniform way – not even remotely! – that would justify a one-size-fits-all approach. Individuals cannot and should not be judged by the same standards and be considered comparable in their susceptibility to systemic involvement from dental infections. However, they can be divided into what we might call risk groups according to the classifications delineated Dr. Reckeweg in his Disease Evolution Table. But before proceeding, let’s take a quick look at what we mean when we speak of a focus and how a root canal treated tooth can become one. A focus is a chronic, abnormal change in the connective tissue capable of producing variable effects quite distant from that site. 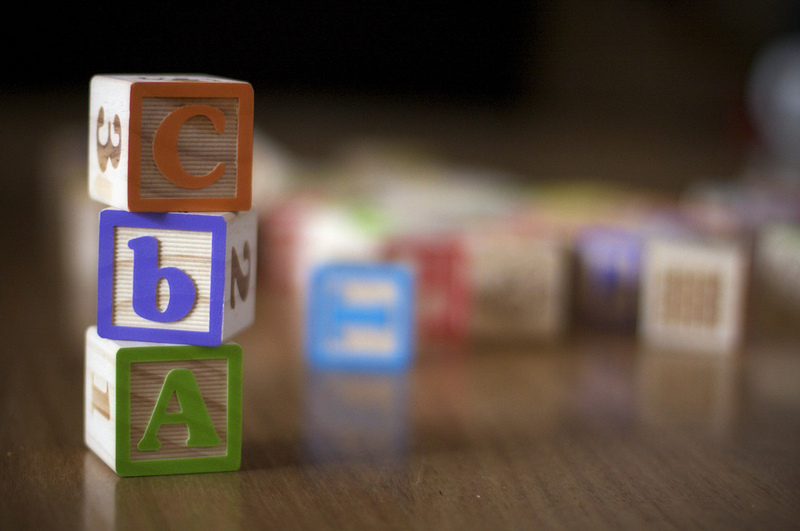 (You can learn all about foci – that’s the plural of “focus” – here and here and here.) A non-vital (dead) tooth provides a perfect example. Once a tooth has lost its vitality due to chronic inflammation of the dental pulpal complex [nerves and blood vessels], necrosis follows – perhaps gangrene, too. The tooth as a whole might be likened to a piece of dead bone resting in the jaw. 1. 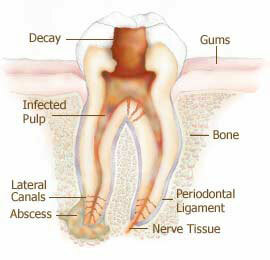 A Deep Infection: Root canal treatment is needed when an injury or a large cavity damages the tooth’s root. 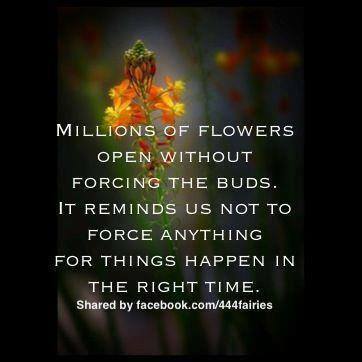 The root becomes infected or inflamed. 2. A Route to the Root: The dentist numbs the tooth. 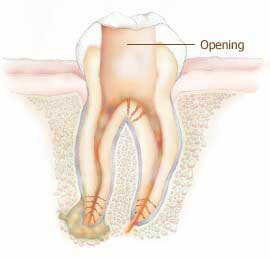 An opening is made through the crown of the tooth into the pulp chamber. 3. Removing the Infected Necrotic Tissue: Files and reamers are used to clean the necrotic tissue out of the canals. Irrigation with dilute Clorox is used to help clean the canals and remove debris. 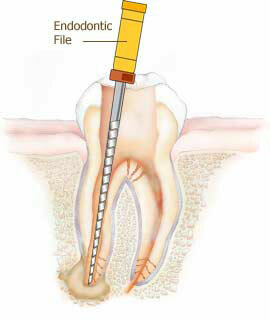 The canals are shaped into a tapering cone to facilitate the implantation of the filling material. 4. Filling the Canals: The canals are filled with a material known as gutta-percha which comes from Brazil, where tappers harvest sap from trees growing in the rain forest. To make points for filling root canals, it is mixed with various waxes, resins, and a zinc-oxide filler… and a sealer called eugenol which is an extract of cloves. Clifford consulting has gone on record that samples they have tested contain much containment that is native to the jungle environment. 5. 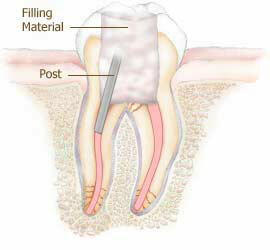 Rebuilding the Tooth: A temporary filling material is placed on top of the gutta-percha to seal the opening. The filling remains until the tooth receives a permanent filling or a crown. 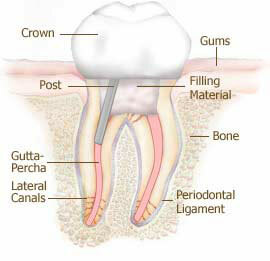 A crown should be placed over and around the tooth. 6. 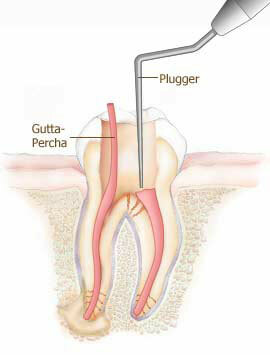 Extra Support: In some cases, a post of either metal or fiber is placed into the root next to the gutta-percha. 7. The Crowning Touch: The crown is cemented into place. Dental students are taught that this process fully disinfects the tooth. But take a closer look at the tooth structure in the above illustrations and you’ll notice something missing. While the accessory lateral canals are shown (labeled in the first and last images, in the lower roots), no indication is given of the three miles of micro-canals that lead from the pulp chamber toward the enamel of the crown and into the cementum of the root. Those micro-canals are the dentinal tubules. Like any other cells in the body, those of the tubules contain various protein processes. Eventually, they decompose, inviting various microorganisms to inhabit them: bacteria, viruses, mold, fungus and parasites. Their toxic excretions travel through the tubules – first into the cementum, then into the periodontal ligament that connects the tooth to the jaw and finally into the marrow of the jawbone. From there, the toxins enter the general circulation and, eventually, the cerebral spinal fluid – a substance that helps protect the brain mechanically and immunologically, and is critical for brain autoregulation and blood flow. At Sweden’s University of Umea in 1964, Tore Patrick Störtebecker, MD demonstrated that there is a direct communication between the teeth, their surroundings and the intracranial cavity. Simply, the research team injected the jawbone marrow and tooth pulps of cadavers with a contrast medium (a 60% solution of Urografin, similar to what’s used in angiography – an imaging technique used to visualize blood circulation). It filled three major complexes of veins throughout the head: the pterygoid plexus, orbital plexus and the intracranial venous system. Störtebecker observed a couple of important neurological implications. First, he noted that communication between the cranial and vertebral venous systems may allow the microbial toxins from dental (as well as urogenital) foci into all parts of the central nervous system. This meant chronic dental infections could play an important role in the development of some forms of MS (disseminated sclerosis). After all, the upper teeth are only 3/4 of an inch from the base of the brain. His second observation was based on the principle that infectious agents take the shortest path. In the case of cranial lesions, this means look to the cranial venous system for signs of infectious foci. Together, these led Störtebecker to pose a critical question: Can our society really afford to take care of all these “dental diseases” involving the spread of highly pathogenic toxins from the teeth and jaws through the cranial venous system and into the brain? The consequences to the nervous system are potentially gruesome, from epileptic fits to schizophrenic-type hallucinations, MS to malignant brain tumors. Other research has lent further support to Störtebecker’s findings. For instance, Marinesco and Draganesco – two acclaimed scientists at the Pasteur Institute in Paris – documented the spread of herpes simplex through the bodies of rabbits. They saw how the virus traveled first along the ciliary ganglion and into the ophthalmic branch of the trigeminal nerve, then continued via the Gasserian ganglion and into the brain stem. In the US, Teague and Goodpasture independently showed that herpes simplex virus can spread to the spinal ganglion of the posterior root via the sensory afferent nerves. Their research was published in the Journal of Medical Research (44:139). R.K. Anderson’s work likewise supported this concept of local infection traveling through the brain. Research published in the Journal of Neurosurgery(8:411) showed that there is direct communication between the veins of several organs (prostate, kidneys, adrenals, lungs and mammary glands) and the cranium via the vertebral venous system. Any kind of microbiota may travel this path from the jaw to the brain. things that have no connection is a cynical corporate play for clueless consumers who buy something simply because they think it’s healthy. It seems every grocery store nowadays has a section if not an entire aisle dedicated to gluten-free food products. What explains this sudden emergence? 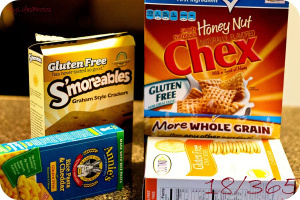 Did we see a sudden surge in celiac disease? Or is it just another food fad? Let’s define some terms first. “Gluten” is one word for two proteins found in wheat, rye, barley and other grains. It feeds the plant embryo during growth, and it’s what gives the dough elasticity in breads and other baked goods. No gluten, no good French loaf. Gluten is also added to other foods such as meat substitutes and is also used as a stabilizing agent for sauces, salad dressings and dairy products. Most of the gluten we eat comes from wheat. Those of us allergic to wheat avoid gluten, since most products that use other grains are often processed on equipment used for processing wheat, and cross-contamination is always a possibility. Even so, not so many of us are wheat-allergic – 0.4% of children and 0.5% of adults, according to the American College of Allergy, Asthma and Immunology. Children typically outgrow it by the time they turn 12. Celiac disease (CD) is not an allergy. It’s an autoimmune disorder that affects the small intestine. In a person with CD, gluten triggers antibodies that attack the lining of the small intestine, making it unable to absorb nutrients properly. It can trigger diarrhea, abdominal pain and bloating; it can lead to problems like anemia and cancer. Those with CD definitely want to leave it alone – a bit of a chore, even with all the increased choices available these days. Mainstream figures show CD to be just a little less rare than wheat allergy, affecting just 1% of the population. The number of gluten-sensitive individuals would likely be considerably higher if we were to include those with mercury toxicity – from dental amalgam or otherwise – as heavy metals tend to block enzymes required to digest gluten properly (likewise, casein – a milk protein). But it’s important to remember that the mere presence of amalgam does not necessarily indicate toxicity, let alone their being the sole trigger for any systemic illness.Whether and what kind of illness emerges depends on many factors but most fundamentally the state of the extracellular matrix or biological terrain. All that being the case, why are grocery stores offering so much valuable real estate to gluten-free foods? Why are celebrities singing the praises of diets absent of gluten? The fact that they are and that so many of us are quick to emulate our famous favorites – whether we admit it or not – points toward gluten-free being a fad, with all the myths that tend to come with food crazes. For instance, a lot of people believe that getting rid of gluten may help them lose weight. And that might happen if you completely cut out things like cakes, cookies, crackers and breads. But if you just replace them with gluten-free versions, you may wind up eating a lot more sugar, fat and other ingredients used to mimic the consistency created by gluten. Will going gluten-free give you more energy? One newspaper writer went a year without gluten for assignment and as a patient who believed she had CD. When it turned out she didn’t have CD, she mentioned the increased energy to her doctor. He told her that it was probably the loss of excess of carbs that did the trick. There are also some not-so-great effects that can come from foregoing gluten if you don’t need to. For one, you may lose the benefits of eating whole grains – a good source of fiber, complex carbs, vitamins and minerals. 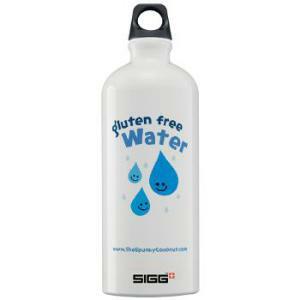 Any sufferer of CD will tell you how difficult it is to replace the nutrients they lose from not eating gluten. On the plus side, cutting down on processed foods such as store-bought bakery items can encourage greater consumption of fruits, vegetables and dairy, in addition to whole grains – foods that are not only good for maintaining your weight but for providing sustained energyand strong teeth. If you’re experiencing any symptoms of CD or otherwise suspect an intolerance to gluten, it’s important to consult with an integrative physician or naturopath. 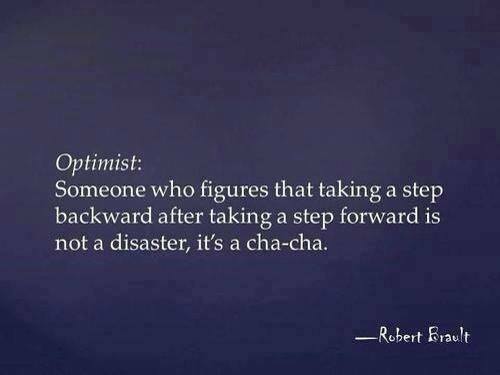 It’s the only way to be sure of a correct diagnosis and a sensible, doable plan for addressing the situation. Gluten-free should be done for a good reason, not a hunch or a hope or just because it’s the trendy thing to do.